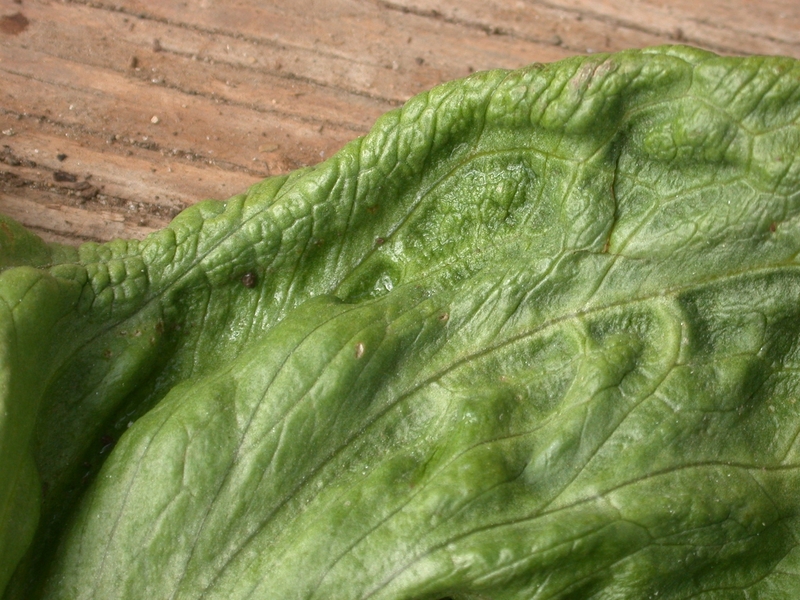 Frost damage on vegetables can often occur during cold, clear nights in late winter and spring in the Salinas Valley (Photo 1). 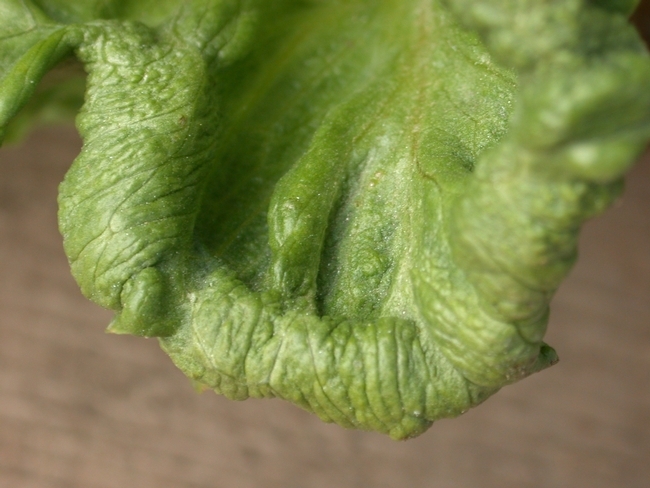 Early plantings of lettuce, cauliflower, broccoli, spinach and peas can be affected with lettuce and celery being the most frost sensitive. 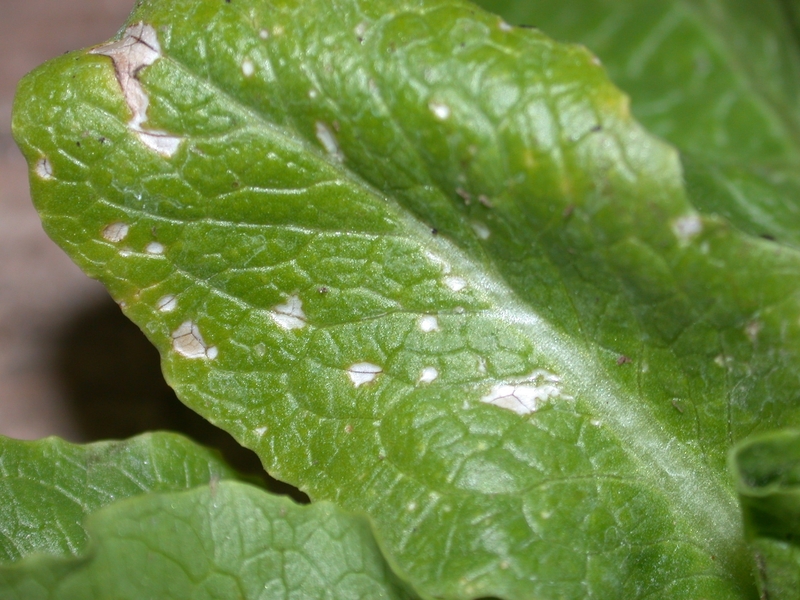 Frost damage is primarily caused by dehydration of the plant cells as water moves out of the cell into the intercellular space and freezes. 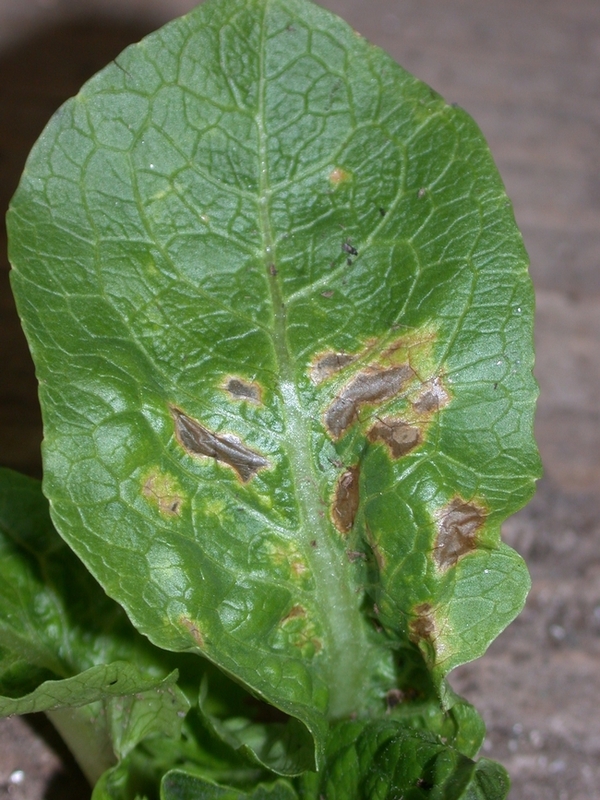 The dehydration of the cells and may explain why frost damage can look similar to damage from water stress. 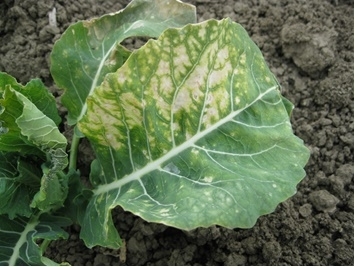 Cole crops often display dramatic symptoms of frost damage (photos 2 - 4); symptoms can vary from interveinal chlorosis to necrosis which typically occurs on older leaves. 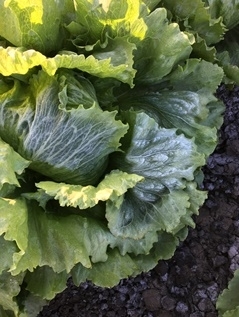 Light frosts down to 32° F are mostly tolerated by cool season vegetables, and slow transitions to cold temperatures allow plants to acclimate to colder temperatures. This year however, starting about February 20th, we made an abrupt change from unseasonably warm temperatures to nighttime temperatures in the high 20's in Salinas (CIMIS South weather station), and lower temperatures in the south end of the valley (CIMIS King City weather station). Samples of frost damage began coming into our office shortly thereafter. Symptoms of frost damage vary on the crops, but the most common symptoms on lettuce include a lifting of the epidermis from the rest of the leaf (Photo 5). The damage to the epidermis allows the tissue underneath to dry out (Photo 6). 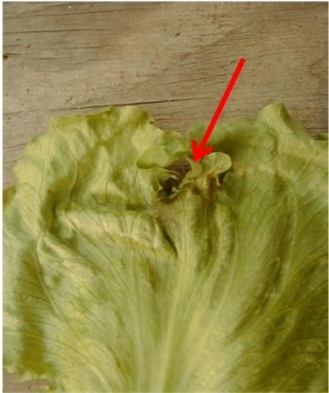 However, on lettuce we also see a variety of other symptoms that occur depending on the severity of the frost and the acclimatization of the plant (Photos 7 to 11). 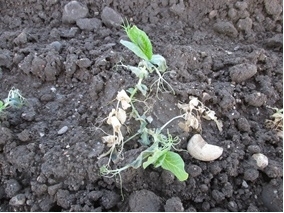 This year we also saw frost damage on peas (Photos 12 & 13) which is more frost tolerant than lettuce. 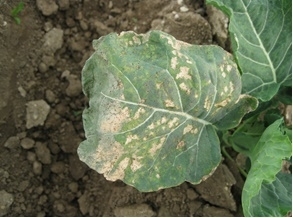 The severity of frost damage can be made worse by dry conditions in the field. 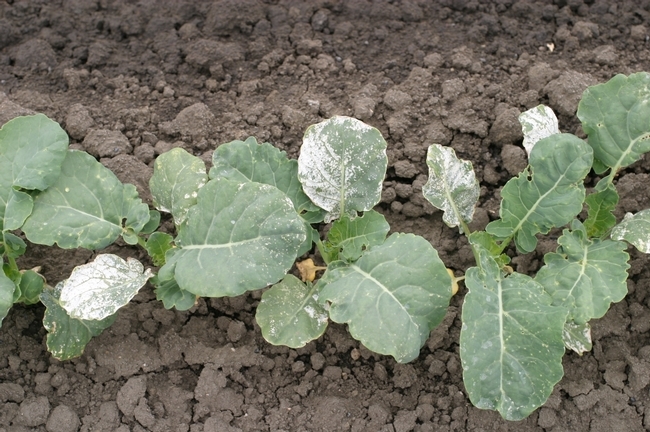 Moisture has two effects on the severity of frost: 1) wet soils provide more warmth for crops than dry soil, and 2) greater soil moisture assures that the plants are better hydrated and can, to some degree, withstand the drying effects of frost. Highlighting these concepts, in 2015 we observed a cauliflower field in King City where the frost event occurred as they were in the process of irrigating the field. The areas of the field that had not been watered had more severe frost symptoms than the area of the field that had been watered. 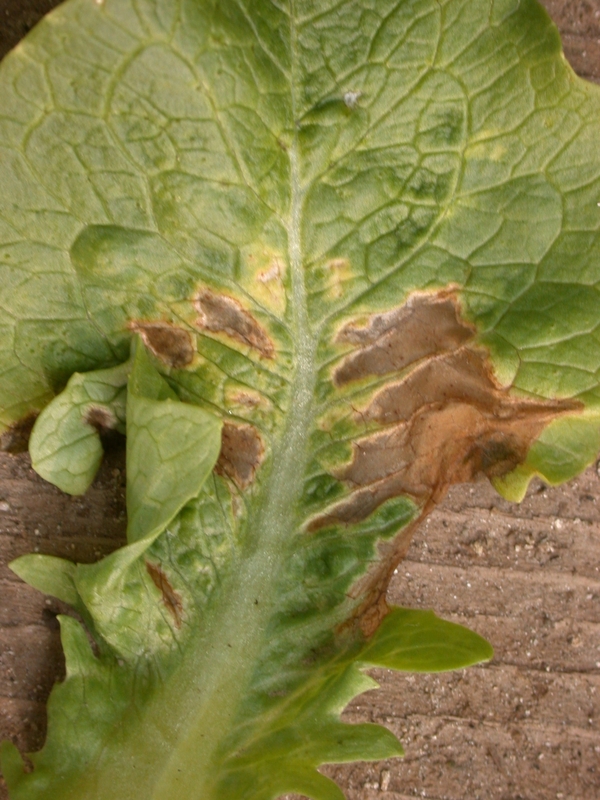 Frost damage can at times be confused with herbicide damage. 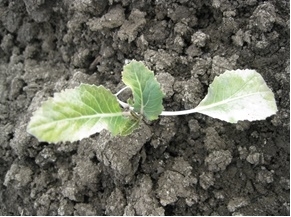 For instance, if Goal is used as a pre- or post-plant on cole crops it can cause necrotic areas on the leaves (Photo 14). 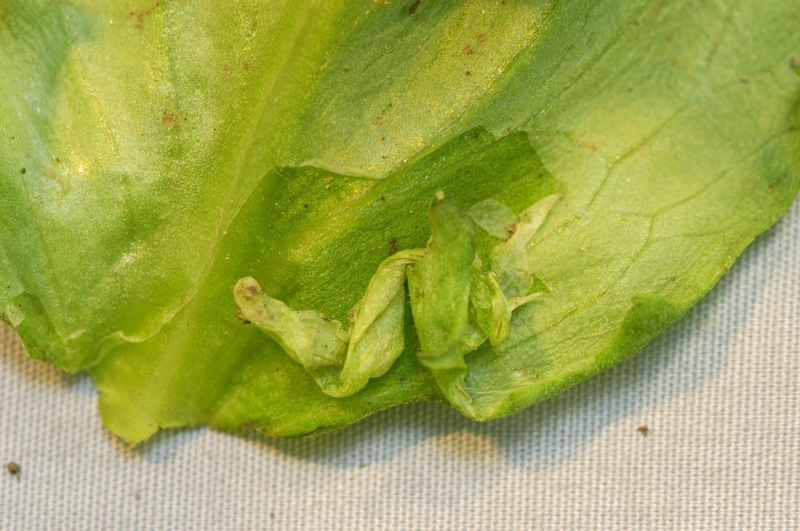 Spotting on lettuce or spinach can be caused by herbicide drift, but the spotting will tend to be more rounded (Photo 15). 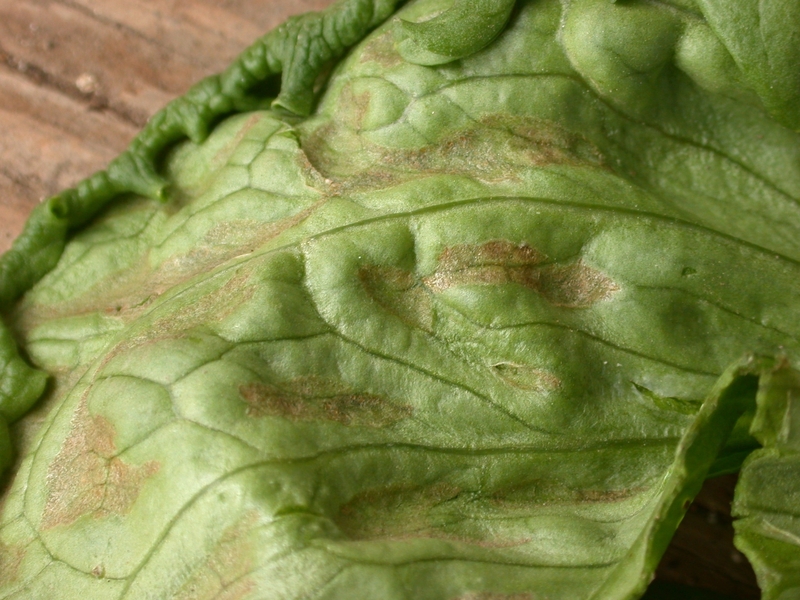 Frost damage can also be confused with some foliar diseases. 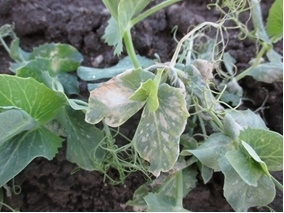 Frost damage is a non-systemic issue that may or may not affect the yield of the crop. The impact on yield will depend on how severely affected or stunted the plants were by the frost event.